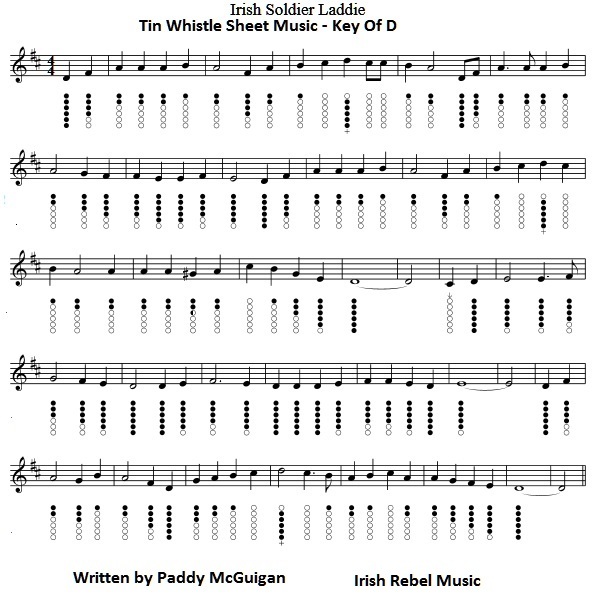 Irish Soldier Laddie sheet music With Tin Whistle Notes-written by Paddy McGuigan from Barleycorn and recorded by The Wolfe Tones. Irish Soldier Laddie lyrics + chords The first piece is the easier piece to play and is set in the key of D Major. [ Genre Irish Rebel ]. The notes above are in the key of D Major and are the easy ones to play.